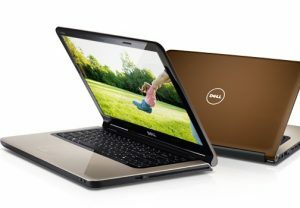 Dell Laptop Repair & Service Center in Mumbai, We offer best repair services in Dell & Provide Laptop Spare parts also. Dell laptop repair, Dell Inspiron, Vostro & Lattitude all dell laptop series are repaired in SLS. Also we believe that our customer service is key role for successful business. When your laptop stop working, or facing with any issue. Here are we, Shanti laptop services will take care of all type of problem in laptop. Laptop Cleaning & Anti Virus Check. Dell Laptop Rate Depends On Laptop Model. But below are approximate rate of dell series. Dell Laptop LCD Screen Repair and replacement. Laptop Screen Cracked/Damaged, sooner or later repair your laptop screen. Because of over heating, ram issues or other issues. Our expert team gives you an cost-effectively replacement, including installation. Dell Laptop Keyboard Repair and replacement. Dell Laptop Optical Drive Repair. Do you have a broken or non-working Optical device ? Do you want to add a DVD / CD-RW Combo Drive ? Blue-ray drive to your Dell laptop ? We have the answer! Shanti laptop Repair provide repair and replacements for all Dell laptop models. Dell Laptop RAM Memory Repair. Repair a memory problem on your laptop since display is not coming. Simply install more memory. Our repair service engineers will assist you. Since motherboard Repair is an superior choice to replacement. After all our engineers diagnose problem and repair it. Dell Laptop DC Power Jack Repair. Have an laptop with a burned or broken power plug on? Without Delay bring to our service engineers. Quickly service check and will provide a quick cost effective service job on your laptop. :Our Laptop Support Services are surely available for all kinds of Laptop Problems.